This section of the guide was originally created by M. Jacobs. Other editors: D. Mizrachi and S. Lee. Source: UCLA Office of the Dean of Students’ Student Guide to Academic Integrity. Source: Dougherty, K., Lee, S. (2012). 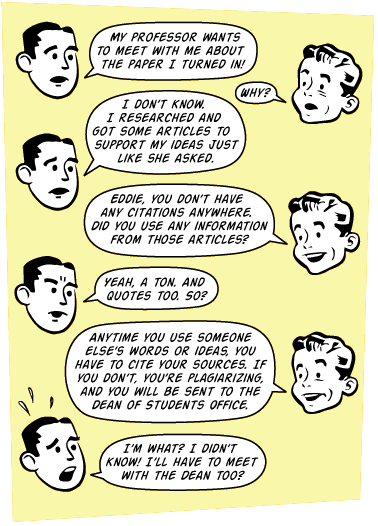 Avoiding plagiarism: A workshop on citation [PowerPoint slides].